Tucked away in Vancouver’s Chinatown is a single business where visitors can sip artisan coffee, browse eclectic antiques and get a haircut. 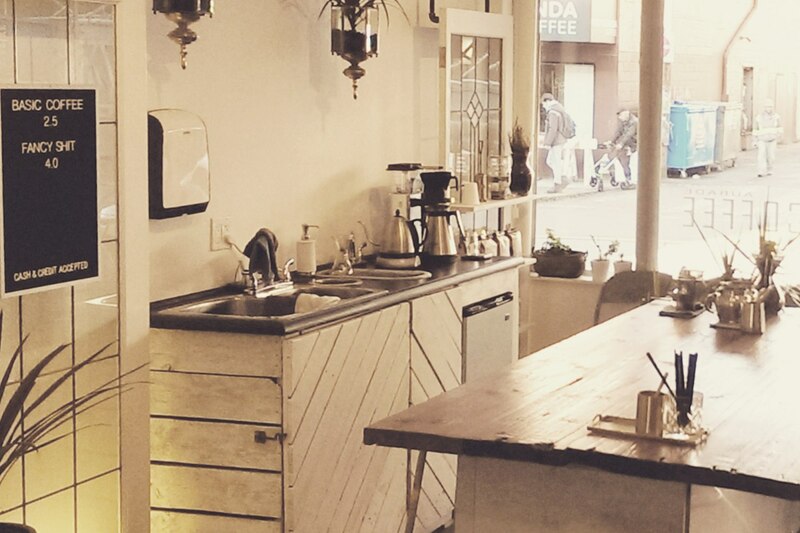 The Long Walk Lodge on Pender Street is three businesses in one and Aubade Coffee can be found in the front of the space, serving up coffee from a counter made from a reclaimed shipping pallet. Owner Eldric Kuzma was inspired to open a coffee shop during a soul-searching trip abroad. He was planning to spend five years traveling, but he stopped short when he discovered the artisan coffee scene in Australia. “I’d left Canada to explore the world and discover myself, essentially to figure out what I wanted to do ‘when I grew up’,” recalls Eldric. “I’d managed coffee shops and figured I could rely on that when travelling. 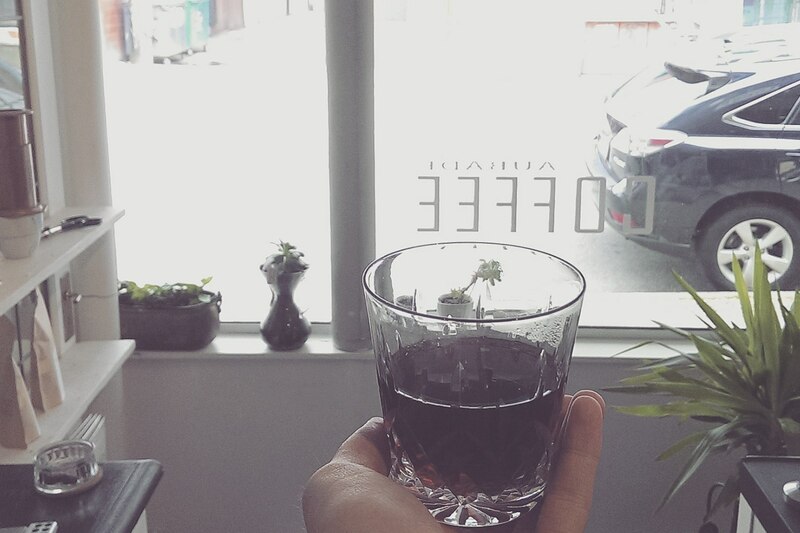 I very serendipitously ended up in Melbourne and discovered the concept of taking coffee to the level of a craft.” He began making plans to open his own place. In the lead up to opening his shop, Eldric took part in collaborative pop-ups with his friends, many of whom were using Square for their businesses. 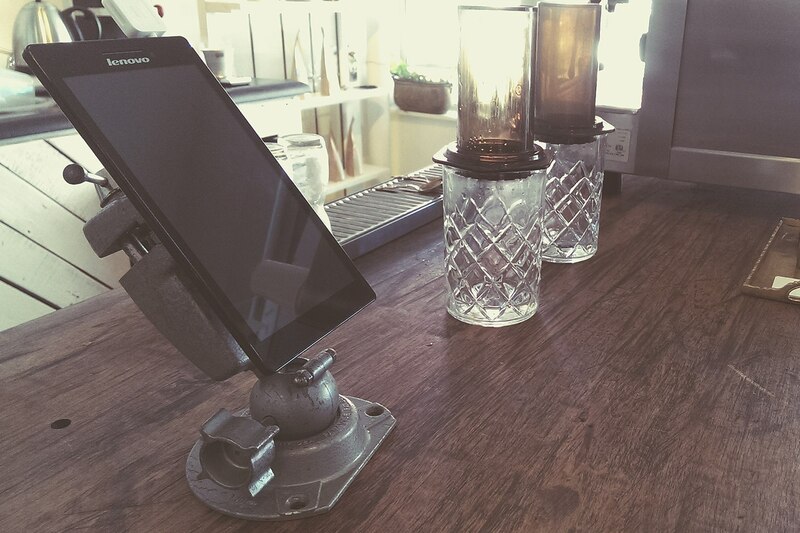 After seeing Square in shops and using it himself, Eldric decided to use his Samsung tablet as a point-of-sale (POS) system in his new store. “After banging my head against the wall with other expensive POS systems, I loved that Square was so streamlined,” says Eldric. The idea of a free POS was also very appealing to this small business owner who isn’t backed by investors.